Fun… vivacious… outgoing… if that’s your style then Inhabit Design is your furniture store. We stock contemporary furniture and home accessories as individual and unique as you are. 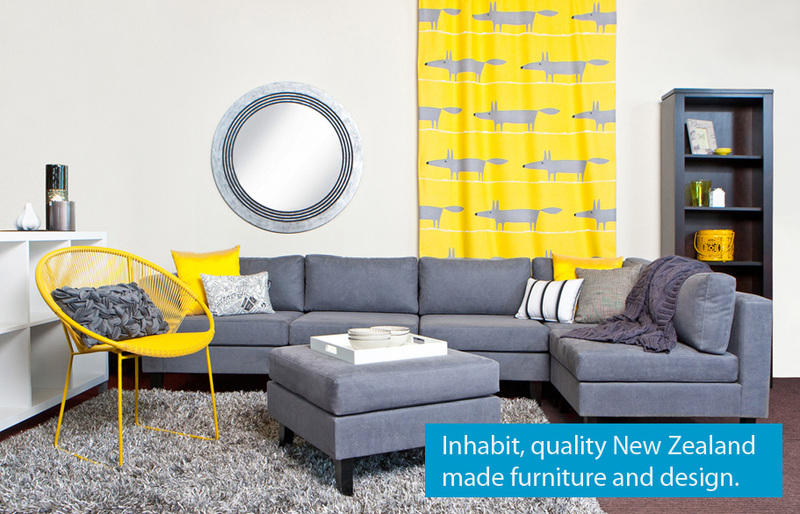 Inhabit opened in New Zealand’s harbour capital in 1979 and has supplied quality, New Zealand made furniture nationwide for the past 37 years. We are proud to promote furniture from New Zealand companies with world-class products. Our furniture is environmentally low-impact – made locally, using plantation-grown timbers. Our goal is to bring you the very best in design, function and value.